Mary Queen of Scots’ Visitor Centre is set in the centre of historic Jedburgh and this 16th century tower house tells the story of Scotland’s tragic queen. Mary’s month here in Jedburgh in 1566 was a turning point in her life. A fine display of paintings, objects and textiles associated with her explores not only her life and times but the cult that has grown up around her. 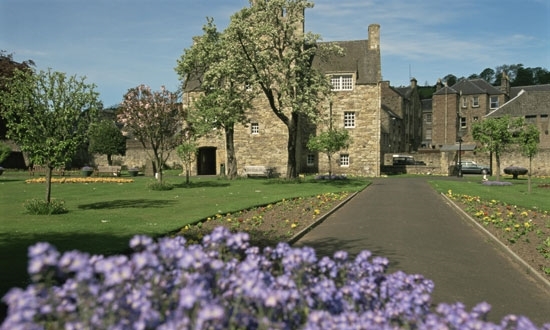 Set in the centre of historic Jedburgh, this 16th century towerhouse tells the story of Scotland's tragic queen. Mary's month here in Jedburgh in 1566 was a turning point in her life. A fine display of paintings, objects and textiles associated with her explores not only her life and times, but the cult that has grown up around her. The house sits in attractive gardens, home to some of Jedburgh's famous pear trees, descendants of the original pear trees planted around Jedburgh Abbey in the early 1800s.